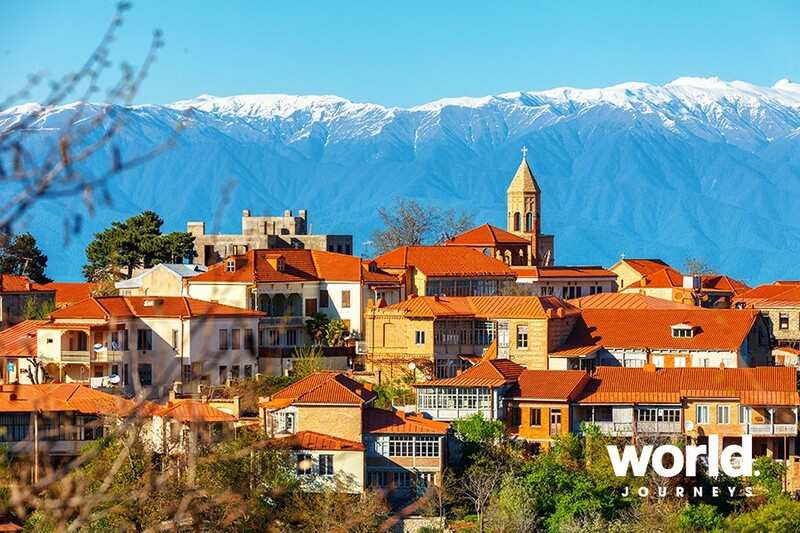 There is so much to explore and experience in this mountainous country, from awe-inspiring vistas, alpine forests and an extensive wine region, to the towns and villages dotted throughout. With such a rich history of ancient churches, monasteries and castles, you will truly feel as though you are stepping back in time to the traditions and cultures of centuries past, enhanced by the authentic hospitality of the people. 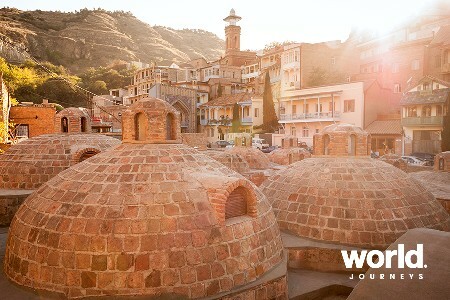 Day 1: TbIlisi You will be transferred to your hotel on arrival. 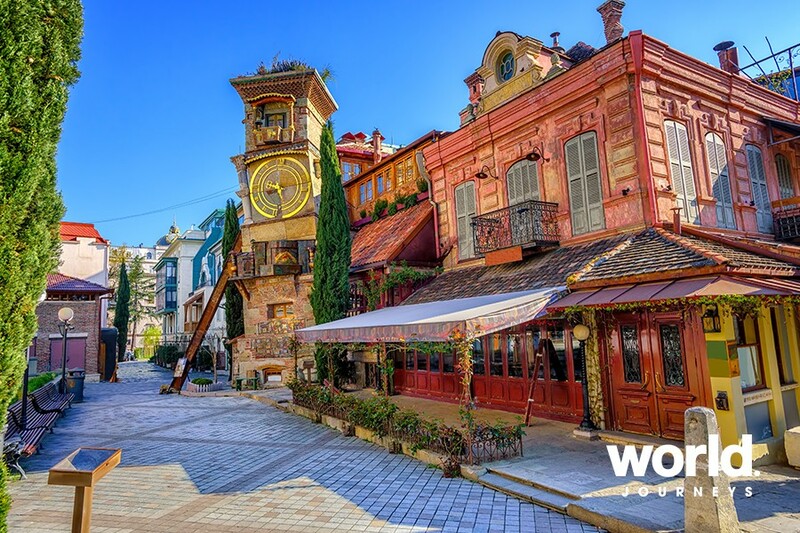 In the afternoon, explore the vibrant streets and medieval quarters on a tour of Georgia's capital, including a visit to the Georgian baths at an authentic spa. In the evening the Georgian National dance troupe will treat you to a private performance of traditional dance. 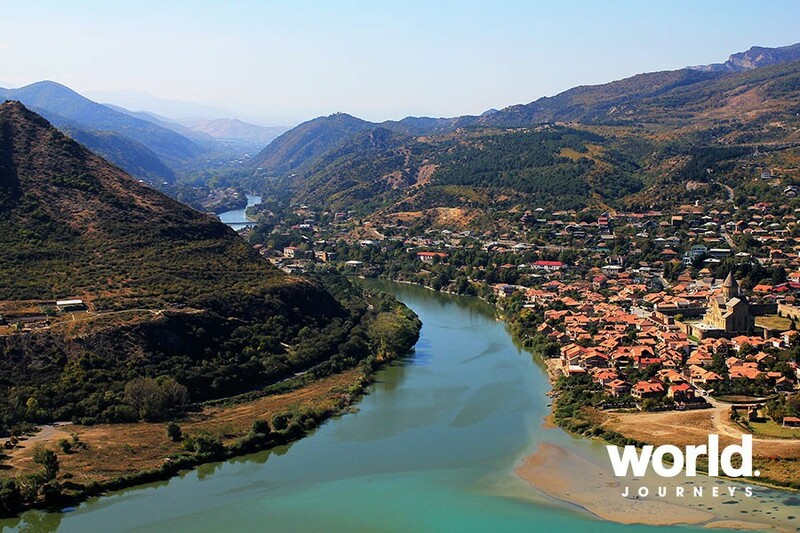 Day 2: TbIlisi Drive to Mtskheta, the country's ancient capital city located approximately 20 kilometres north of Tbilisi. Mtskheta is the birthplace of Christianity in Georgia and remains the headquarters of the Georgian Orthodox Church. Also included in your tour will be a visit to the Svetitskhoveli Cathedral, one of the most significant monuments of Georgian Christian architecture. Day 3: TbIlisi > Telavi > Signagi Drive to Kakheti, the wine region of Georgia, and after a tour of Telavi, the capital of the region, continue to the Shuamta Monasteries, hidden in a forest of deciduous trees nearby. Enjoy a wine tasting and lunch with a local family and continue to Signagi in the afternoon. Day 4: Signagi > TbIlisi Explore the Old Town section of Signagi and continue to the amazing Bodbe Monastery complex before returning to Tbilisi in the afternoon. Day 5: TbIlisi > Kazbegi Travel by road from Tbilisi on a journey through stunning scenery to the town of Kazbegi, which lies within a few miles of the Russian border. Visit the 13th century Ananuri Fortress. On arrival check in to your hotel for the night and spend the remainder of the afternoon at leisure. 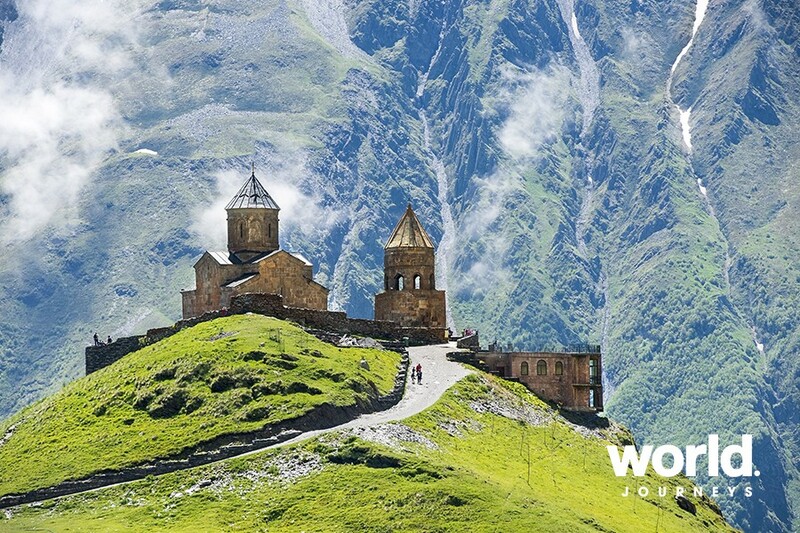 Day 6: Kazbegi Depart in the morning to drive through a landscape of mountains and forests, continue up to the Gergeti Tsminda Sameba Trinity Church at Mount Kazbek, from which the views are spectacular. 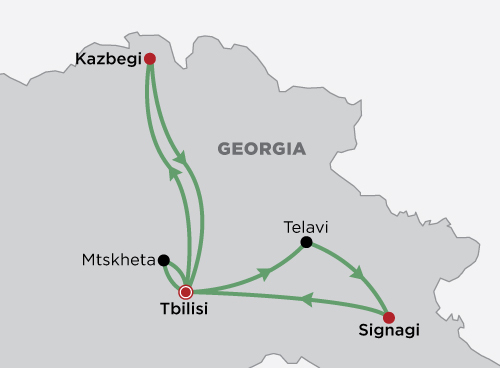 Day 7: Kazbegi > TbIlisi Take the return journey by road to Tbilisi. Enjoy a private men's choral performance on your final evening in Georgia. Day 8: TbIlisi You will be transferred to Tbilisi airport for your departure.